If you are on this website, you are probably seeking something. You may have the sense that there is something better for you, the sense that you are not realizing your full potential. You may have things you know you want to change about your life but can’t seem to find the energy to do anything about it. You may not know exactly what is missing or where to turn. Do you feel like you’re sleepwalking through your life? Do you want to wake up and make some real changes? We all have moments where we feel alone, lost, and separate from the world around us. We feel disconnected. And when we feel that way we can lose perspective. It becomes harder just to get through our daily lives, let alone find the energy to face new challenges and set new goals for ourselves. We need to recognize that we are not helpless. We need to connect to the abundant Energy that exists in the world around us. To tap into it, and use it for the benefit of ourselves as well as for others. We need to acknowledge what is true for us and honor that. When we connect to our core values and our inner Truth, we can draw on our own strength. It is only by connecting to our center that we can find and sustain the energy to make real changes in our lives. So how do we change our patterns? How do we stop ourselves from doing the things that drain us and hold us back? You may have read the latest self-help books, watched The Secret, had years of therapy and attended classes or seminars yet still find that you have a hard time creating change in your life. Understanding how the mind works and how you think is very important. Sometimes you need a little guidance to help change your thought patterns. Because when you change your thoughts patterns and learn to balance your Energy, you can begin to think and move more freely. If you are looking to build more confidence, release blocks, ease depression and anxiety, stop smoking, lose weight, or any of the countless things we do to derail our lives, then you have come to the right place. Welcome to Connect Within. Hypnosis is a heightened state of suggestibility that we all experience from varying degrees on a daily basis. Have you ever missed your off-ramp while driving on the freeway because you were “in deep thought”? What about that drowsy relaxation you experience immediately before going to sleep or upon awakening? Have you ever been deeply engrossed in a book, movie or when you are surfing the web? It is during these periods that our subconscious mind is extremely open and receptive to suggestions coming from our own thoughts or from other people. Hypnotherapy is simply combining the powerful effect of hypnosis in a safe environment with a skilled, understanding, certified hypnotherapist. Hypnotherapist’s are Life Coaches with the added skill of hypnosis. The first step is to discuss your goals and desires with your Hypnotherapist and together agree on a therapeutic approach. While under hypnosis, your Hypnotherapist will work with your subconscious mind to support the agreed upon goals. During the hypnotic session, you are not asleep. In fact, your mind is quite alert and you are very in tuned with all that is happening around you. Your senses are heighten and you are able to concentrate on what the Hypnotherapist is saying. Everything that occurs during your Hypnotherapy session can be recalled. You will leave feeling refreshed and alert with a wonderful sense of well-being. Custom Meditation CD's & Mp3's are made JUST for you. The word Reiki is made of two Japanese words - Rei which means the Higher Power and Ki which is "life force energy". 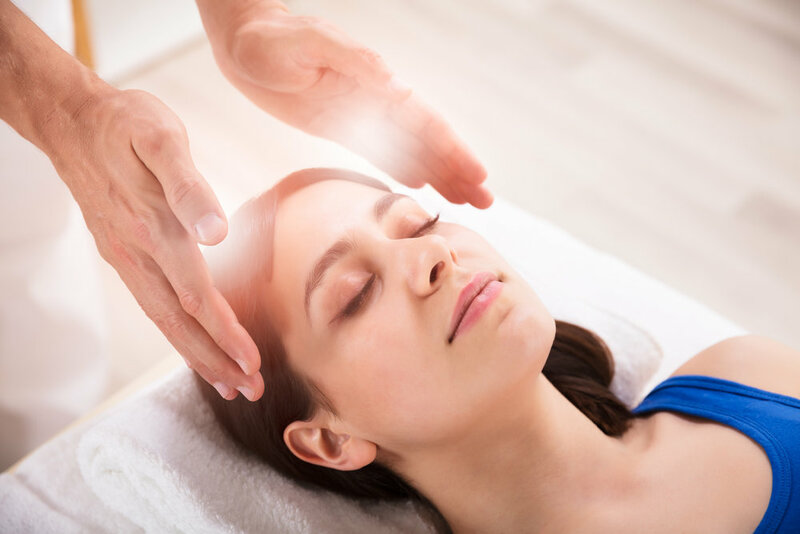 So Reiki is actually "spiritually guided life force energy."